“The Christian walk is not about information, it is about formation.” Matt, thank you for this concept. Larry was driven. Something about a basketball and the game caught his attention and provided purpose for him. Sitting around and only being a fan wouldn’t get it done. He got into the game. And your thought is right on, in my view. The anticipation. The win. Going places no other athlete dare. The sense of history in view. Pursuing excellence. All of it. Like an artist creating on a canvas, Bird understood your concept Matt. Looking forward to your next article and how this concept applies to growing in Christ. Thanks, Jerry. Great comments. Thank you for adding to he discussion. Larry was indeed a driven guy. Glad to see you back at the blog. Your message is so true and so unpopular in a culture consumed with idolatry of novelty and the latest and greatest fads. This rings similar with Eugene Peterson’s book “A Long Obedience”. Thank you for the reminder that it’s not in the glitz and glamour where we live. Only as servants of the King. Praise be to God. Thank you. Funny, I was thinking about that book as I wrote the piece. You still challenge and refocus me toward significant Christ transformation. Thank you. 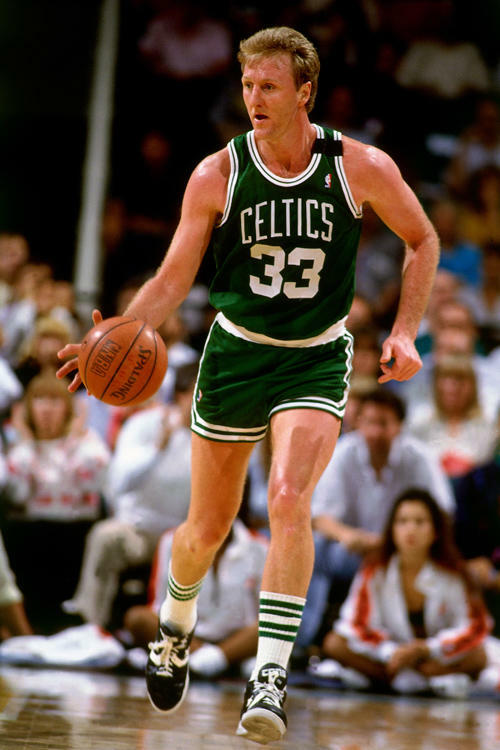 Larry Bird demonstrated how to do life that remains significant. Congregations in my faith-tradition keep busy on unrelated projects: here an event, there an event, then what have you done for me recently? They do only what can be measured, assuming disciples automatically emerge. Wonder where the people went? Interesting. Willow Creek had a Coke to Jesus moment a few years ago when they realized more activity didn’t change any measurable indicators of discipleship in people’s lives. Thank you for you always insightful comment, Dr!